Now available from Token Electronics is a new range of highly stable and reliable metal oxide resistors providing high power in a small package with various forming styles and different leads for different applications. New RS series resistors are ideal for pulse applications in adverse conditions and are available in different sizes with power ratings of 0.5W to 10W for a power voltage range from 200V to 850V. Highly temperature resistant the devices feature a resistance range from 10Ω to 47KΩ. RS series resistors are available in various forming styles and different leads for different applications like power supplies, amplifiers, household appliances and ballasts. Manufactured by depositing a homogeneous oxide film of metal alloy onto a high-grade ceramic body, the metal oxide resistors are coated with a nonflammable lacquer providing mechanical, electrical and climatic protection. The devices come packaged in ammo pack boxed or tape and reel format. All RS Series devices are RoHS-compliant, and compatible with high temperature soldering processes normally employed for lead free solders. Contact us with your specific needs. 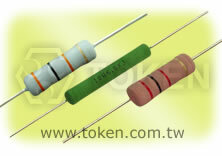 Download complete specification - Power Metal Oxide Resistors (RSS, RSN). Ballasts, Amplifiers, Telecommunications, Household appliances. Automotive, Power supplies, Computer, Instrumentation. Axial leaded type, high power at compact sizes. Tolerances: G (±2%), J (±5%), Power wattages up to 10W at + 25 °C. 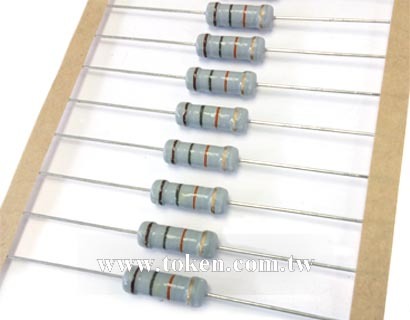 Resistance value 47KΩ ~ 100KΩ is available on request. 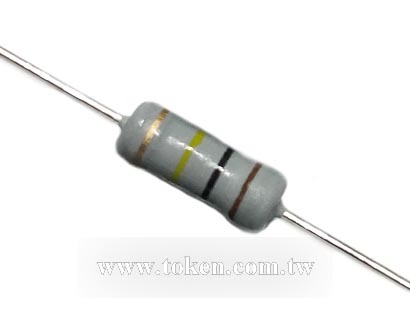 Non-Combustibility The resistor shall withstand Overload test in accordance with Artice UL492.2 13 without producing a fire hazard. Resistance to Solvents No damage on the appearance,co.or bands. Never use organic solvents to clean non-flammable resistors. Maintaining a surface temperature of 200°C or less will extend resistors service life. Although the hardness exceeds that of a 3H pencil lead, do not nick the coating with screwdrivers or other pointed objects. Smoke emitted from non-flammable resistors on initial use in powered circuits is a normal phenomenon and the component can be safely utilized. Non-flammable resistors cannot be utilized in oil. Non-flammable resistors cannot be used in high frequency machinery because of the inductance produced by the grooving. Avoid touching non-flammable resistors in operation; the surface temperature ranges from approximately 350 °C to 400°C when utilized at the full rated value. 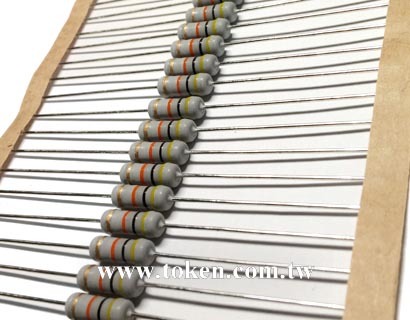 All metal oxide film resistors (RSS, RSN) manufactured by Token Electronics Co., Ltd. comply with the U.S. UL-94 non-flammability test, Class V-0, a continuous combustion period of zero seconds. 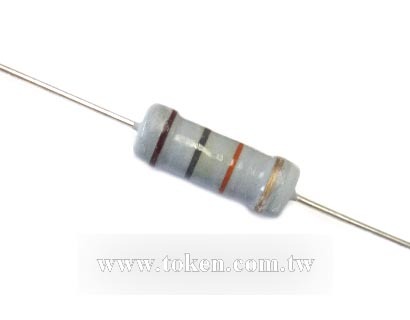 Less resistant against external shocks than ordinary resistors due to special flame retardant coating. So, never give shocks or vibrations on the resistors. Also never damage them by picking up the coated films with pliers, tweezers, etc. After cleaning, no external power should be put on the coated films before they are well dried.